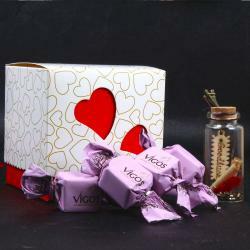 Product Consists : Small Soft Heart with Love Tag along with Vigos Toffee Chocolate in Designer Gift Box (Weight : 200 Gms). 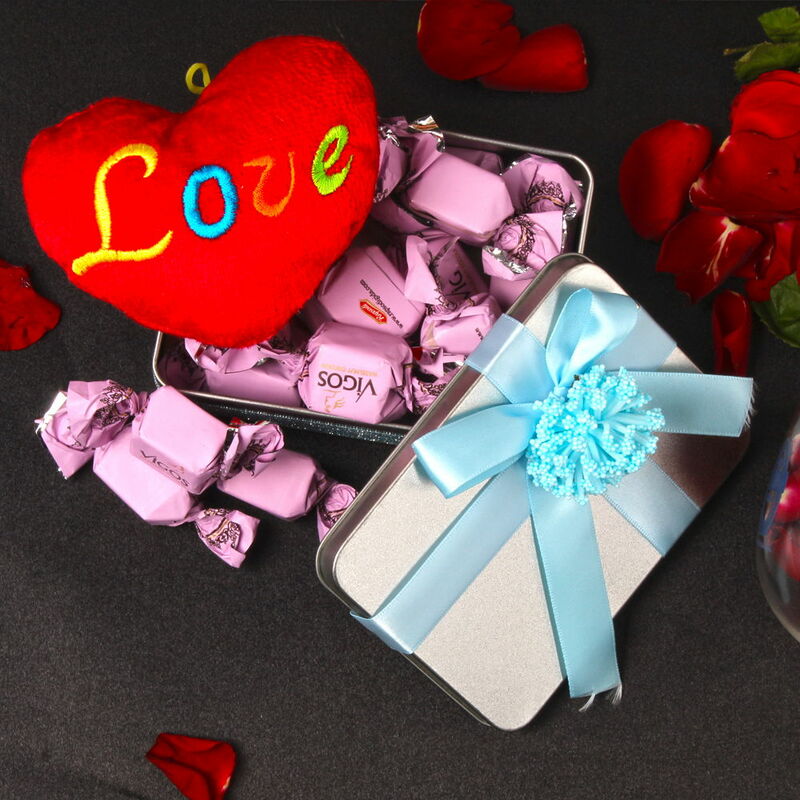 This gift item is best for giving to your girlfriend or wife on this Valentine Day as it is said that girls love chocolates more than boys. 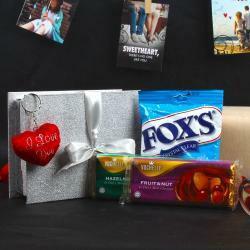 This gift combo is filled with delicious vigos toffees in gift box, if your lover loves the chocolate then he or she appreciates it. Express your deep heart loves with a very cute and soft red color heart with Love tag on it. 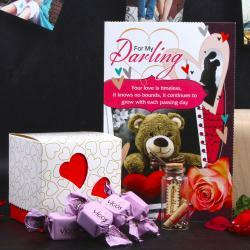 Buy this hamper and delight your girlfriend on Valentine Day with this very lovely gift combo. 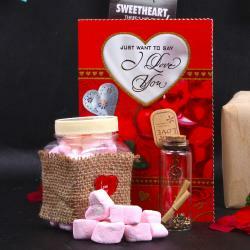 Product Includes: Small Soft Heart with Love Tag along with Vigos Toffee Chocolate in Designer Gift Box (Weight: 200 Gms).